What does your favourite ice cream flavour say about you? 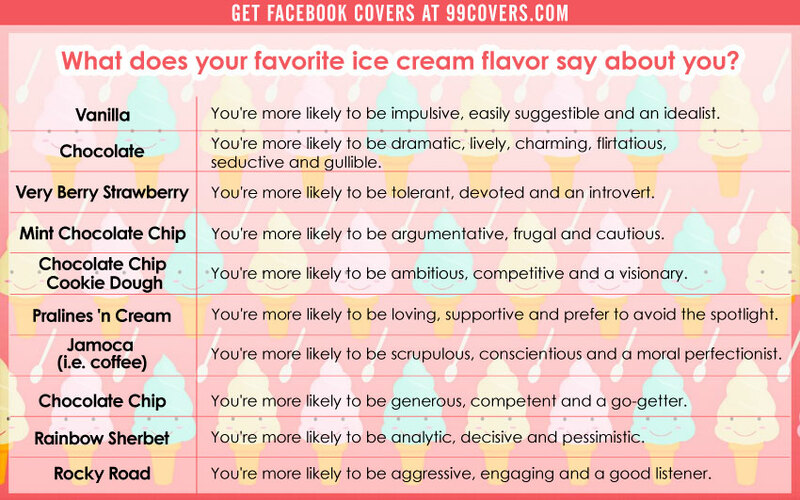 Baskin Robbins recently published a survey after partnering with Dr. Alan Hirsch, a smell and taste expert and founder of the Smell & Taste Treatment & Research Foundation, to identify what some of the most popular ice cream flavors suggest about someone’s personality. ABC’s “The Lookout” decided to see if there was anything to the survey results. “The Lookout” team gave out free Baskin Robbins ice cream while asking New Yorkers to order based on personality type rather than favorite flavor. What they found out was that most people they spoke with said the ice cream they were served was really their favorite.